The New Wave 5-in-1 Multicooker helps you in saving space, removing clutter from your kitchen and of course, it helps you in cooking up delicious meals in no time at all! Are too many kitchen appliances cluttering up your kitchen? Consider replacing them with the New Wave 5-in-1 Multicooker to save space, time and effort! 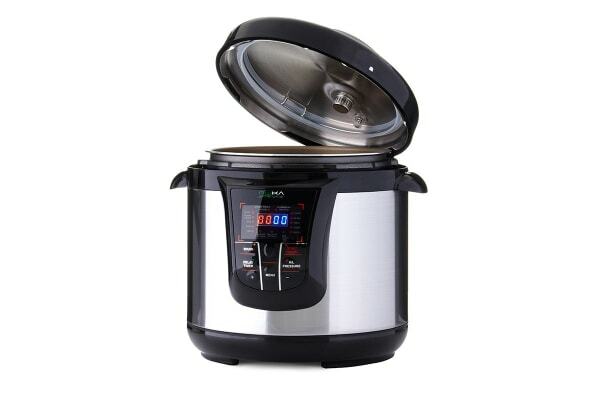 This one appliance does the job of 5, so you can pressure cook, steam, slow cook, keep warm and do much more! So, no matter what’s on the menu, you can cook it all on the New-Wave 5-in-1 Multicooker! If you have a busy schedule but miss the taste of slow-cooked food, you could put the ingredients into the cooker and set it to slow cook. When you get back, you’d have a delicious slow cooked meal ready for you. 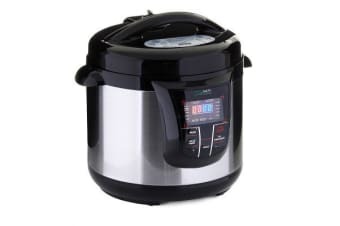 When you’re really rushed for time and have to put dinner on the table in 15 minutes, you have the pressure cooker option that comes to your rescue!